With or without Donald Trump, … this is the Greatest Depression. This is the Greatest Depression. For example, we noted in 2009 that more Americans will be unemployed than during the Great Depression. 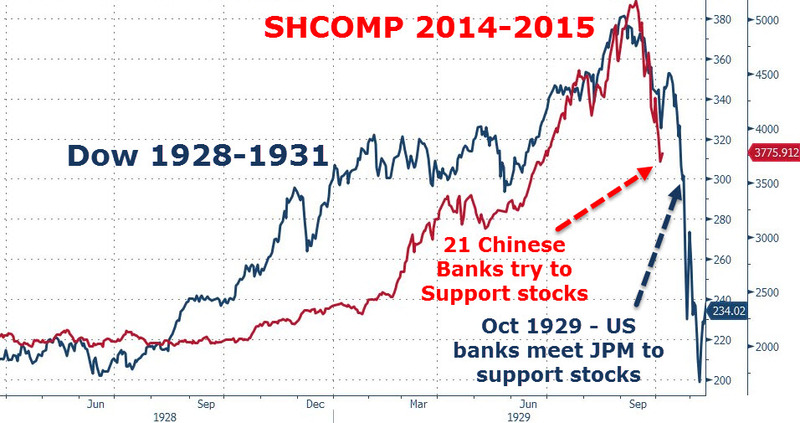 You’ve heard the axiom “History repeats itself.” It does, but never in exactly the same way. To apply the lessons of the past, we must understand the differences of the present. During the American Revolution, the British came prepared to fight a successful war—but against a European army. Their formations, which gave them devastating firepower, and their red coats, which emphasized their numbers, proved the exact opposite of the tactics needed to fight a guerrilla war. And as I’ve said many, many times: This is the Greatest Depression. Greece’s financial crisis, unprecedented in scope, reached a pivotal moment last summer when the Greek people voted overwhelmingly against further austerity programs — ostensibly imposed to help the country pay back enormous debt. 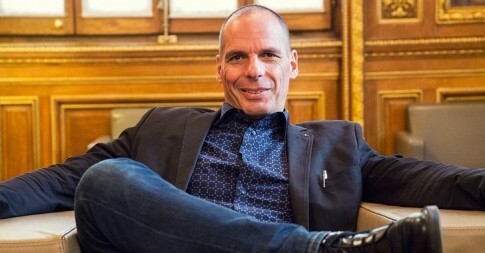 Overseeing the matter was Syriza Party Finance Minister Yanis Varoufakis — a staunch opponent of the crippling austerity measures that had effected a stranglehold on the country’s economy. Greece’s debt to the so-called Troika — the International Monetary Fund, European Commission, and European Central Bank — turned out not to be the true reason for the proposed austerity. As Varoufakis discovered, the Troika actually, if somewhat covertly, intended to decimate Greek organized labor and the country’s modest social safety net. After the Greek populace stunned the world with its ‘no’ vote, Varoufakis sensed the coming accession by Syriza to implement the plans — and he hastily and quietly resigned his post. 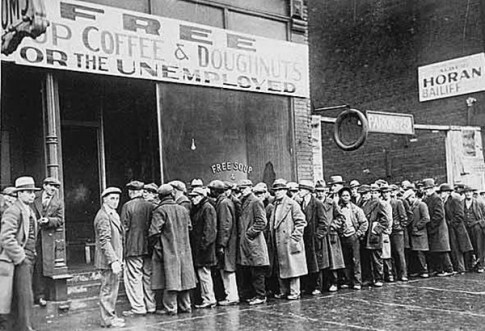 Guess What Happened The Last Time The Price Of Oil Plunged Below 38 Dollars A Barrel? On Monday, the price of U.S. oil dropped below 38 dollars a barrel for the first time in six years. The last time the price of oil was this low, the global financial system was melting down and the U.S. economy was experiencing the worst recession that it had seen since the Great Depression of the 1930s. As I write this article, the price of U.S. oil is sitting at $37.65. For months, I have been warning that the crash in the price of oil would be extremely deflationary and would have severe consequences for the global economy. Nations such as Japan, Canada, Brazil and Russia have already plunged into recession, and more than half of all major global stock market indexes are down at least 10 percent year to date. The first major global financial crisis since 2009 has begun, and things are only going to get worse as we head into 2016. Read moreGuess What Happened The Last Time The Price Of Oil Plunged Below 38 Dollars A Barrel? 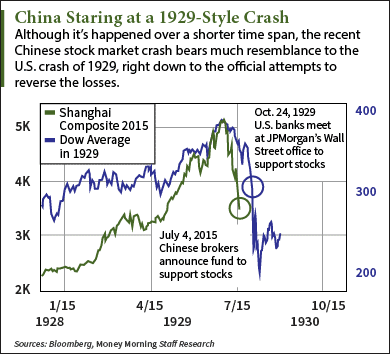 For students of history, the China stock market crash looks eerily familiar. 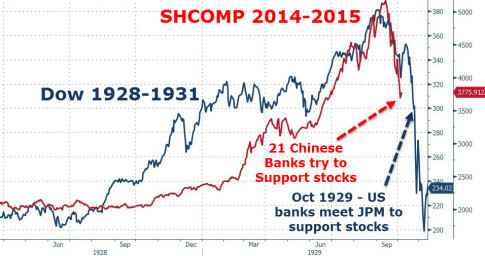 It’s playing out much like the Wall Street stock market crash of 1929. 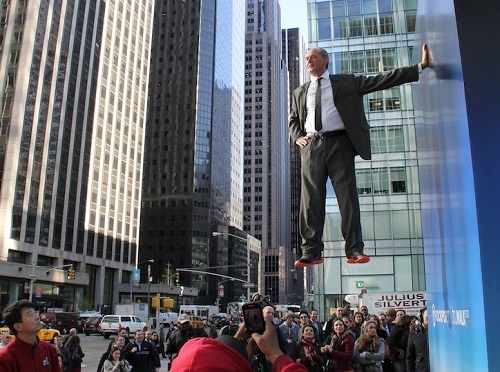 In case you’ve been distracted by such things as the Greek debt crisis and a bizarre glitch that shut down the New York Stock Exchange for more than three hours Wednesday, the Chinese stock market has been in a free fall lately. Now that sums up the current situation nicely. 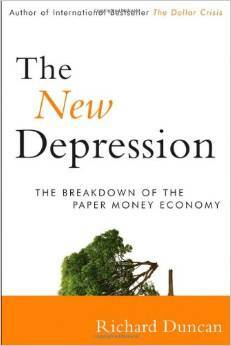 Richard Duncan, author of The Dollar Crisis and The New Depression: The Breakdown Of The Paper Money Economy, isn’t mincing words about the risks he sees ahead for the world economy. Essentially, he sees the past 50 years of economic prosperity fueled by globalization and easy credit in serious danger of being unwound, as the doomed monetary policies currently being pursued by the word’s central banks result in a massive multi-decade depression that spans the globe. 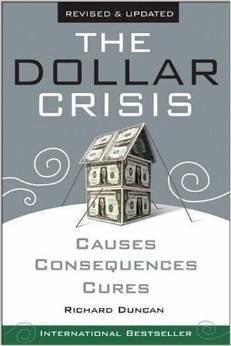 The first version of The Dollar Crisis, the hardback, came out in 2003, so I wrote it in 2002. And at that time, the dollar against gold was $300. So the dollar has lost more than 75% of its value since The Dollar Crisis was written, and I don’t think it’s going to stop here. I expect it to continue to lose value over the years and decades ahead. But what we’re seeing is that the real theme of The Dollar Crisis was that the post-Bretton Woods international monetary system was fundamentally flawed because it couldn’t prevent trade imbalances between countries. And the US had developed an enormous trade deficit with the rest of the world and this blew the trade surplus countries like Japan and China into bubbles. And then, the dollars boomeranged back into the United States and blew it into a bubble, as well. I didn’t know when the housing bubble was going to pop in the US but I knew it would. And I wrote in The Dollar Crisis that when it did, we would have a severe global economic recession/depression that would involve a systemic banking sector crisis in the United States and necessitate trillion-dollar budget deficits and unorthodox monetary policy to prevent a Great Depression from occurring. Throughout history, in most cases of economic collapse the societies in question believed they were financially invincible just before their disastrous fall. Rarely does anyone see the edge of the cliff or even the bottom of the abyss before it has swallowed a nation whole. This lack of foresight, however, is not entirely the fault of the public. It is, rather, a consequence caused by the manipulation of the fundamental information available to the public by governments and social gatekeepers. Europe hasn’t recovered, because it hasn’t let itself. Too much fiscal austerity and too little monetary stimulus have, instead, put it more than halfway to a lost decade that’s already worse than the 1930s.